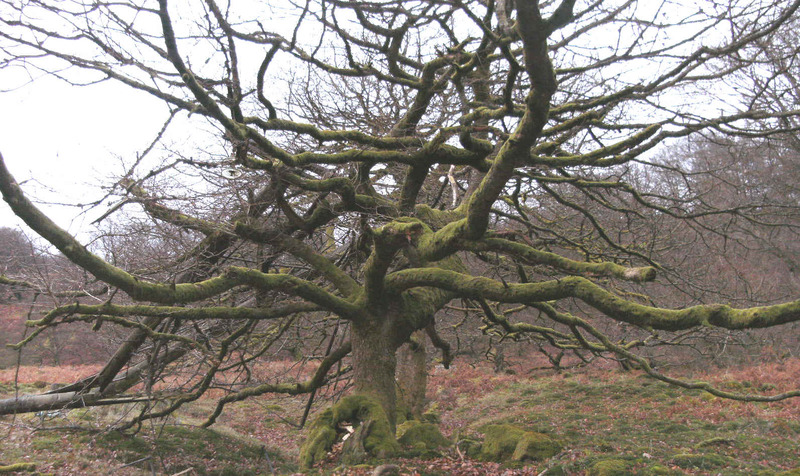 This unusually shaped oak tree may be the result of cutting the young tree's trunk to a low level many decades ago. The trunk is now about 10 feet (3m) high. Please click for a larger image. There are old enclosures and possibly building foundations nearby, but whether the pollard is natural or a deliberate act intended to produce firewood or timber we'll never know. Here's another one, this time on the wooded hillside behind the one above. Maybe it was damaged when it was a young tree? 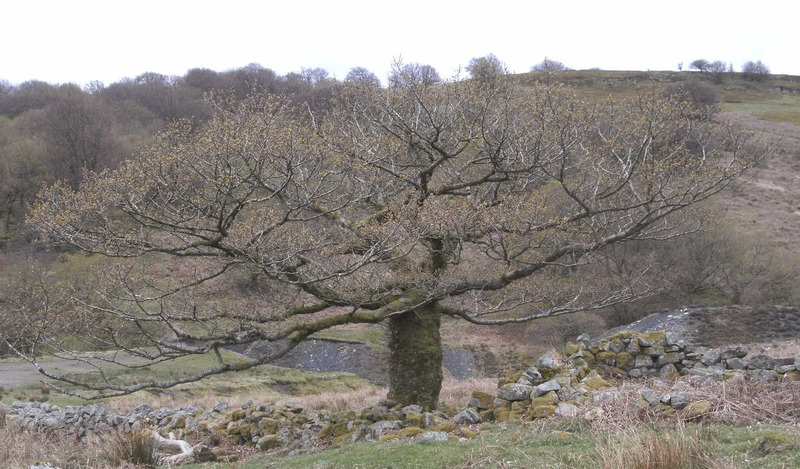 There are plenty of "normal" oak and beech trees nearby.